Tarang Cine Award is the most prestigious award in Odia Film Industry. Here you can get the list of winners in 4th Tarang Cine Award 2013. 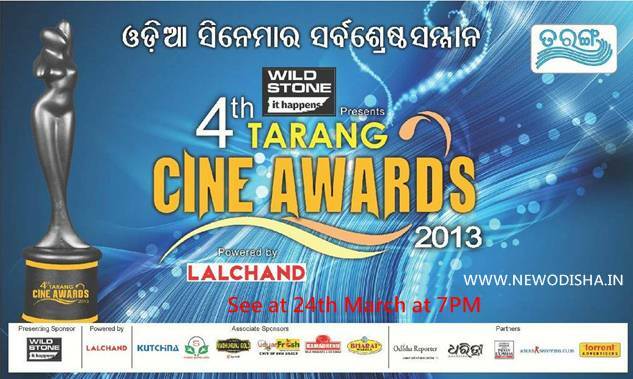 You can also Watch Tarang Cine Award 2013 on Tarang Channel on 24th March 2013 at 7PM. See below to know about the winners of 4th Tarang Cine Award 2013. Give Responses for "Winners of 4th Tarang Cine Award 2013"